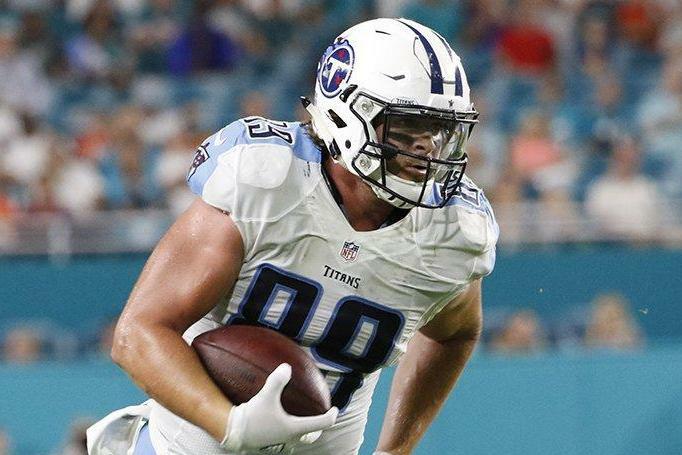 The Tennessee Titans released tight end Phillip Supernaw, the team announced Tuesday. Supernaw spent the past three seasons with the Titans, appearing in 47 games and making six starts. He had four receptions for 39 yards and scored his first career touchdown in 2017. [post_ads]The release of Supernaw was among a series of moves by Tennessee, which placed linebacker Nate Palmer on injured reserve and signed tight end Jerome Cunningham and linebacker Brandon Chubb. Cunningham spent parts of the past two seasons with the Titans, but his only playing experience came in 2015 with the New York Giants. He started three of nine games and had eight receptions for 59 yards. Chubb, the older brother of Denver Broncos rookie linebacker Bradley Chubb, has never appeared in an NFL game. He has been on the roster of the Los Angeles Rams, Detroit Lions and San Francisco 49ers over the past two seasons. Palmer was with the Titans the past two seasons, appearing in 24 games. He started a career-high 10 games for the Green Bay Packers in 2015.